To make a donation or a payment to Africa Media Australia, please enter the amount you want to pay in the black box below (e.g. : $10 or $50) and then click the button below. You will be redirected to Paypal website and be able to use your own Paypal account to complete the payment. 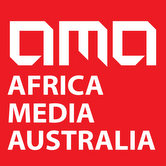 Africa Media Australia (AMA)Ltd is a not for profit organisation. It is registered as a company limited by guarantee. We are both a media company and an advocacy group. Our focus is to provide a voice and a platform to Australians of African origin to tell their stories and promote a more positive image of the African person in Australia and globally. Your donations help us meet the cost of the services we provide to the community.